When looking at the U.S. – Saudi relationship we need to look back to history, understand the status of the U.S. – Saudi relationship now as the Khashoggi case becomes clearer, and examine what the relationship between the two nations could be moving forward. If the past is muddied and the present a web of complexities and contradictions, perhaps we can at least determine a clear plan for moving forward. This plan will account for both moral and practical economic factors. The U.S. – Saudi relationship began in the 1930s when the search for water reservoirs led to the discovery of oil within the Kingdom of Saudi Arabia. The relationship was based on the U.S. providing security and oil exploration to the Kingdom while the Kingdom provided oil to the US. The 60-year exclusive deal between the Kingdom and U.S. Standard Oil Company of California, now Chevron, for exploring and developing oil reserves within the Kingdom is a foundation stone on which the relationship was built. While the relationship is over 40 years old, the benefits remain the same. Today the U.S. provides defense sales the Kingdom requires for their military goals. The U.S. gains access to Saudi oil that the U.S. depends on for economic growth and stability. Both are strategic security and business partners. The Kingdom maintains its status in its region and the U.S. continues its global economic dominance. 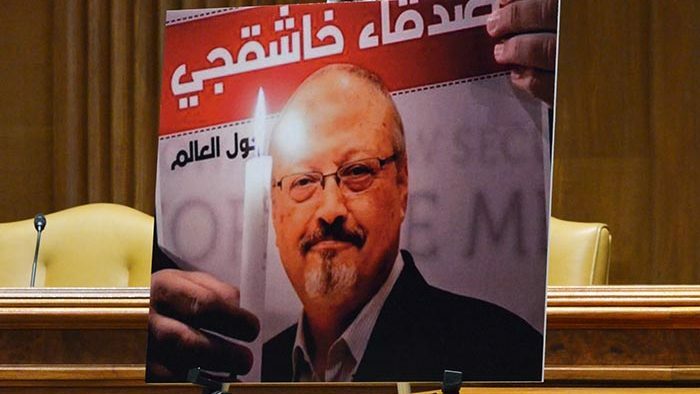 The relationship has seen its ups and downs, highlighted by the most recent and public downturn in the premeditated murder of Washington Post Journalist Jamal Khashoggi, a Saudi national and U.S. resident. We know that Jamal Khashoggi was an outspoken voice on global issues and a critic of the Kingdom’s policies and the royal family. Mr. Khashoggi entered the Kingdom of Saudi Arabia’s consulate in Istanbul, Turkey where he was murdered and dismembered on October 2nd, 2018. Initial reports from the Kingdom stated that he left the consulate. Shortly after, it was discovered and publicized that he was in fact murdered inside the consulate. He never left the consulate, though an individual inside the consulate wore Mr. Khashoggi’s clothing and left the consulate to mislead the public on what happened to Mr. Khashoggi. President Trump stated it was unclear what happened and suggested possible rogue agents were involved. Many questioned the President’s statements, including the CIA whose investigation implicated the Kingdom’s Crown Prince Mohammed bin Salman Al Saud’s involvement in Mr. Khashoggi’s murder, an implication the Kingdom strongly denies. There are times that the affairs of nations are hit by a tidelwave surrounding an issue or cause that is brought on by one individual. This case highlights what happens when a government’s reputation and legitimacy is questioned due to a moral crisis brought about when the government is seen to be complicit in the mistreatment of an individual citizen. Think about the Dreyfus Affair in France or more recently the suicide of the Tunisian foodseller that sparked the Arab Spring. When a small case becomes impossible to ignore, the whole framework of a government is shaken, and it becomes impossible for that government to act with legitimacy on the world stage or at home. It becomes impossible, that is, unless and until the government takes actions, voluntarily or involuntarily, to redress the wrong and to make sure such a wrong does not happen again. How the Khashoggi Case Impacts U.S. – Saudi Relationships? The U.S. Senate and House have voted in favor of a bill to end supporting the Kingdom’s military actions in Yemen, a conflict many say is just a proxy war between the Kingdom of Saudi Arabia and Iran. The conflict in Yemen was brought to light for the masses after the Khoshoggi murder. Once the public had its eyes on the US-Saudi relationship, a U.S. response was necessary. I believe that this step was correct. It addressed a moral issue with a moral response. Rep. James McGovern (D-MA) introduced H.R. 7070 on October 16th, 2018. H.R. 7070 prohibits the United States from providing any security assistance to the Kingdom of Saudi Arabia pending the Secretary of State and Secretary of Defense’s determination that the Kingdom and its officials were not involved in the murder of Jamal Khashoggi. This includes intelligence sharing, training, and most importantly equipment sales or maintenance services. The $110 billion arms sale would be voided. What Will Happen if H.R. 7070 Passes? If H.R. 7070 passes and becomes law, it would mean the end of the U.S. – Saudi relationship as we know it. The arrest of the Kingdom’s top officials within its own government indicates that the U.S. could no longer provide any security assistance to the Kingdom as they have already determined that some members of their government were involved in Khashoggi’s murder. So what does this mean for the U.S.? The U.S. loses a strategic partner in a volatile region, oil prices will likely increase, and the Kingdom foregoes future investments into the U.S. economy with a consequent loss of billions if not trillions in lifetime trade. The Kingdom will then turn to Russia and China, two countries the U.S. is currently at odds with, for security assistance, intelligence sharing, and arms trade. The U.S. currently does not sell the Kingdom drones. The Kingdom buys them from China. Yet, the Kingdom still comes to the U.S. first for its arms purchasing. When the U.S. says ‘no’, and the Kingdom has already done the majority of their shopping with the U.S., then they will turn to others, like China, as they have already been doing with drones. Lastly, it would show to U.S. allies that the U.S. would not stand for moral injustice no matter the price. However, while the U.S. gains a moral high ground, it will lose trust amongst some of its allies. This may cause a shift in global alliances and power. Will the U.S. go this far? How to Move Ahead With the Least Self-Inflicted Damage? I do not believe the U.S. will go so far to end the relationship it has with the Kingdom of Saudi Arabia. However, the relationship does need reexamining. I believe the halting of U.S. assistance to the Kingdom within Yemen is a great step forward. This Saudi-led conflict is a humanitarian and moral issue. I aspire to see follow up actions to aid the Yemeni people directly from the U.S., Saudi Arabia, and the international community. The Kingdom has taken certain steps to redress the wrong in the Khashoggi case. What has happened? The Kingdom of Saudi Arabia has arrested and charged 18 persons for their involvement of Jamal Khashoggi’s murder. There are at least 5 individuals who will be facing the death penalty after confessing to their involvement. Five top officials have been fired. The Kingdom’s investigation is ongoing and more arrests may arise. The question for the U.S. now is whether the U.S. government has a place in such redress. H.R. 7070 may have a role in that. The additional question is what will need to be done to prevent such actions from occurring in the future. For that, I would look to Vision 2030 and its role in establishing an appropriate set of moral standards to govern the actions of Saudi Arabia in the near future. Vision 2030 is a framework for the Kingdom of Saudi Arabia to achieve its national vision. This was introduced shortly after the Arab Spring. The vision is to maintain a thriving economy through diversification, reducing the dependence on oil, and increasing social happiness. This is an opportunity for the Kingdom and the U.S. to rebuild their relationship. How so? Vision 2030 calls for many social reforms. If the Kingdom implements further social reforms, it will show the world it is progressing. Another part of Vision 2030 calls for achieving a local 50% defense purchase budget, meaning half of the Kingdoms defense purchasing would be from local manufactures employing Saudi citizens. If the Kingdom remains in good standing with the United States, U.S. defense companies can enter into joint ventures with the Kingdom to capture that future 50% local defense purchasing, thus allowing for more business and strengthening the strategic alliance between the two nations. While the loss of Jamal Khashoggi is an absolutely horrific tragedy and many questions remain unanswered, I will leave you with this one. Can the U.S. risk losing a key strategic partner, strengthening global adversaries, while negatively impact the U.S. economy?